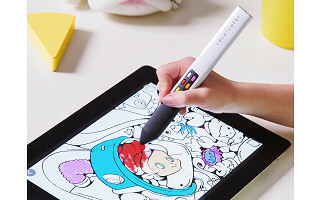 All the paint, brushes, colored pencils, and crayons kids could want are packed into a single coloring stylus. Glide Coco Color over the surface of any device and get lifelike results. It comes with two free apps, one for coloring and one for freehand drawing. Kids pick their canvas, then they can choose a different instrument, stroke style, size, and color with a click. Inventor and dad-of-three Hugh Bell based Coco Color on his kids' crayon packs. But now instead of 64 colors, little artists have access to a library of 768 different drawing effects. This transformation of digital motions invites kids to experiment with color and form, and leaves zero mess for parents to clean up. Hello everyone! I'm proud to introduce Coco Color Stylus to The Grommet. I'd be happy to answer any questions you have! What tablets will this work on? Thanks. @Ted Coco Color works on all iOS and Android devices, including smartphones! Can you color over an existing photo and then save it??? Or is it just for use over a blank page? @Suzanne Unfortunately you can't color over an existing photo. However, Coco Color does come with two FREE Apps. Coco Color Doodle - Grab your Coco Color and start Doodling! Press any Color Buttons to choose from our 48 Color palette. Each time you press a Color Button you get more shades of that color. The Color you Choose is the Color you use. Pick Pen, Pencil, Pastel or Paint to decide which Coloring Style you wish to use. Click each Style Button again to change the Stroke Size. Save and Share your Masterpieces on your Device and to your Social Media. Coco Color Voyages -Color your way through 12 huge fun & magical Voyages, blasting off in Outer Space and going all the way down to the center of the Earth. Float through the Solar System, fly the Skies, land in the Cities, visit Farms, Forests, Jungles and Savannahs, before sailing the Seas around the Poles and diving through the Oceans to the center of the Earth. 1. Is there a recommended minimum age range? 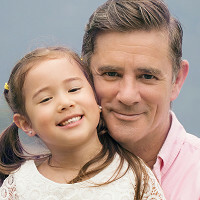 My youngest is almost 5. 2. Are there options to save and print completed drawings from either app? Can drawings be "erased" and re-used? 3. How many pages are included in the "coloring book" app? Are there plans to offer more in the future, either free for paid? @Jay Thank you for your questions Jay! 1. Coco Color is designed for Tweens & Adults. Our Voyages Coloring App currently has 2 levels of design detail - 1 for Tweens & 1 for Adults, so both can color the same subject matter together on their own devices at their chosen level of difficulty. For your youngest daughter who is 5, we will be coming out with a Pre-Schooler version soon! 2. You can save all of your artwork from both Apps to your camera roll on your device. You can then print from there. 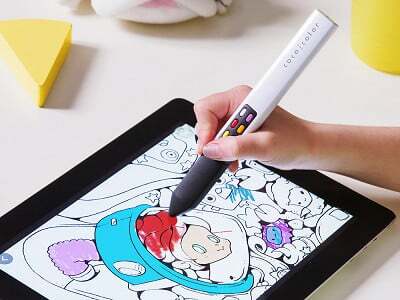 To erase, simply choose the color white on your Coco Color Stylus and go over what you want to erase. 3. Currently there are 12 different voyages in Coco Color Voyages. Each Voyage has 9 Voyage Maps making a total of 108 different coloring pages. Yes there are plans to offer more in future! How fine a line can you color or shade. I am thinking of this as a gift for my teenage niece who is a fairly talented artist and who draws with her finger on her phone all the time. Her drawings are tiny and she would need a pen that is capable of fine lines. @Jo Ann This stylus is capable of fine lines when you use the smallest stroke size option. Each Style (Pen, Pencil, Pastel & Paint) has four different stroke sizes. Simply press the style buttons on your stylus to change stroke size. Coco Color provides a much more accurate drawing experience than using your finger. So basically, all you need is a tablet right? Does the coloring app come with a selection of drawings for kids to color? @Kathy Yes Kathy you are correct. All you need is a tablet or smartphone. Our Coco Color Voyages App comes with a total of 108 drawings for kids to color. Can the "creations" be printed? @Dena Yes, all of your creations can be printed. Simply save them to your camera roll or screenshot them to create a photo on your device. You can proceed to print from there. I would like to order this for my great granddaughter for her birthday. She specifically asked for coloring pages and pencils. I thought this would be something different for her. What is the age for this ? If I order it can I have it sent to her home? @Elsie Coco Color is designed for Tweens (9-12 years old) & Adults. Since Coco Color comes with two FREE Apps, coloring pages are included! If you place your great granddaughter's address as the shipping address, it will be sent to her home. How quickly will the preschool version be out. Would love to get these for my four granddaughters. @Christi Unfortunately we do not have a set date yet for the launch of the pre-schooler version. However, Coco Color is kid-friendly and was awarded " Best of 2017 Teacher's Pick" by Scholastic. This looks awesome! Question, what country is this manufactured in? Will it work on a NOOK! @Richard Depends on what version of a NOOK you have. If your NOOK allows you to download Apps, Coco Color will work. The newer versions of the NOOK (NOOK Devices by Samsung) allow you to download other Apps. The older versions:NOOK Tablet, NOOK Color & NOOK eReader do NOT allow you to download other Apps. Coco Color also works on Smartphones! what is the appropriate age group for the stylus? 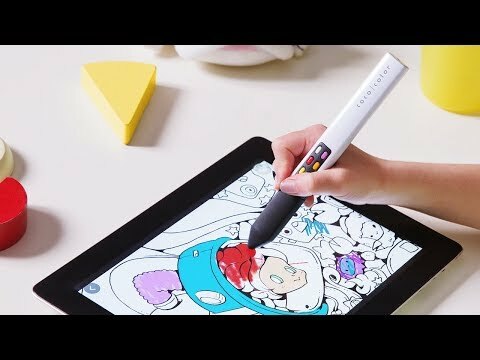 All the paint, brushes, colored pencils, and crayons kids could want are packed into a single coloring stylus. Glide Coco Color over the surface of any device and get lifelike results. It comes with two free apps, one for coloring and one for freehand drawing. Kids pick their canvas, then they can choose a different instrument, stroke style, size, and color with a click.